Our range of products include boys t-shirt, boys sweatshirts, boys shorts, boys basic t-shirts, boys full sleeve t-shirts and full sleeve hoodie. 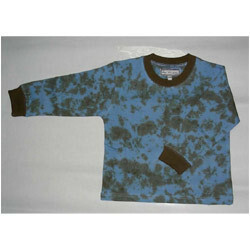 We manufacture a trendy range of kids casual shirts that offer a casual look to the wearer. These are stitched from quality fabrics and are available at industry leading prices in variety of colors and sizes. 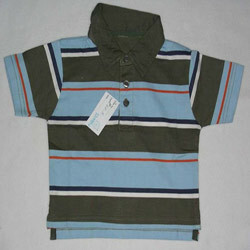 Our range of kids casual shirt is acknowledged for superior color combination and perfect fitting. 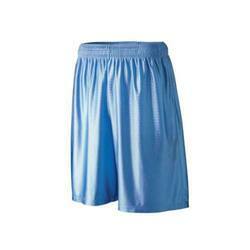 We manufacture an array of kids shorts in fabrics like cotton, knitted fabric etc. Our products are designed to offer maximum comfort and easy movement for kids. These shorts are available in rainbow colors and patterns that give them a vibrant look. 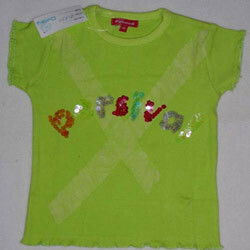 We manufacture and export an exclusive range of kids basic t-shirts. The kids basic t-shirts designed and created at daisy apparel designers offer a cool and casual look to the personality. They are truly trendy and classy. Made from quality fabrics our collection of t-shirts is available at industry leading prices. We offer to our clients’ a wide array of kids full sleeve t-shirts that are made available in large, medium and small size. These kids full sleeve t-shirt are designed and styled keeping in mind the latest fashion and trends. Our range is patterned in perfect proportions and is available at affordable prices. 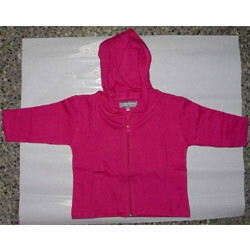 We specialize in the manufacturing of quality western wear like full sleeve hoodie, which also includes kids hooded tops. These full sleeve hoodie have a hood on the top to cover the head and ears and save hair and skin them from harsh weather and pollution. We bring an exclusive range of kids polo t-shirts for boys and girls that are available in an array of vibrant shades, colors and embellishments. 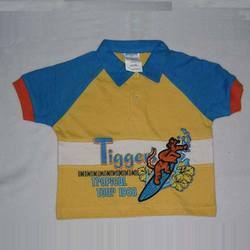 Our variety of kids polo t-shirts are best suitable for boys and girls of all physiques as these are available in different sizes as per the requirements of our esteemed customers. Assuring high quality, these kids polo t-shirts can be worn with denims as well as trousers that add grace to the personality. 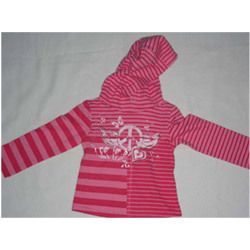 Use of special prints can be seen on our range of striped hooded t-shirts. 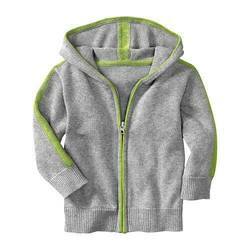 These striped hooded t-shirts are done keeping in mind that these t-shirts are meant for children. Use of soft colours has given a distinguished look to this range of garments. We have used high quality dies to print to ensure that do not cause any sort of skin irritations. Our entire range of clothes is easy to wash and maintain and are various tests are conducted before sending the final product to the client. 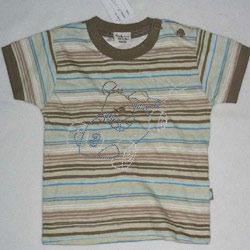 We offer wide collection of round neck t-shirts for kids. Our round neck t-shirts are available in different fabrics and style finishes, our apparel follow the style and fashion trend of the market and complement today's fashion. This kids fashion t-shirts has variegated bands of colors. 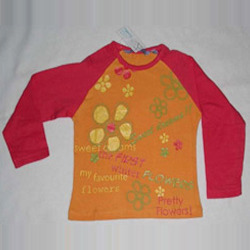 Providing innumerable options in terms of fabric print and design, we offer an exhaustive range of kids fashion t-shirts for the clients to choose from. Looking for Baby Boys Clothes ?